Defense of the Ancients (DotA), a game that started out as a player-created map for Warcraft 3, has created numerous copyright issues for Blizzard. In 2012, Blizzard settled with Valve for creating DOTA 2 based on the Warcraft 3 map. But, even now in 2017, Blizzard continues to fight over copyright ownership with a recent lawsuit against Lilith Games and uCool which created a game called “Dota Legends” based on DotA. Lilith Games and uCool claim that Blizzard and Valve have no copyright in DotA since it was created and owned by the player community. One notable incident involved Nostalrius, a WoW server that copied the original version of WoW from 2004, also known as a legacy server or “vanilla” version. The legacy server, which had over 150,000 active players and 800,000 accounts, was sent a cease and desist order by Blizzard in 2016. Yet, Blizzard has not completely rejected the idea of a legacy server. After a petition reached over 250,000 signatures, Blizzard agreed to meet with the Nostalrius team to discuss the legacy server. Currently, the Nostalrius team has created another legacy server, Elysium, which Blizzard has neither endorsed nor forced to shut down at this point. With Blizzard currently unwilling to provide a service that WoW’s players demand themselves, allowing private servers may be the only option to meet the player community’s demands. Another copyright issue comes from Let’s Players who record themselves playing games and commentating on it for viewers on the internet. Doing so requires the Let’s Player to record and display the game’s copyrighted material for profit. Yet, Let’s Plays can serve as good advertising for a game and attract more players. Blizzard understands this and seems to unofficially endorse Let’s Plays. When a change in Youtube’s method of preventing copyright infringement caused several Let’s Play Youtube channels to receive copyright claims, Blizzard and other video game companies said they would approve the videos. Even with constant vigilance, protecting WoW’s copyrights is not a simple matter. 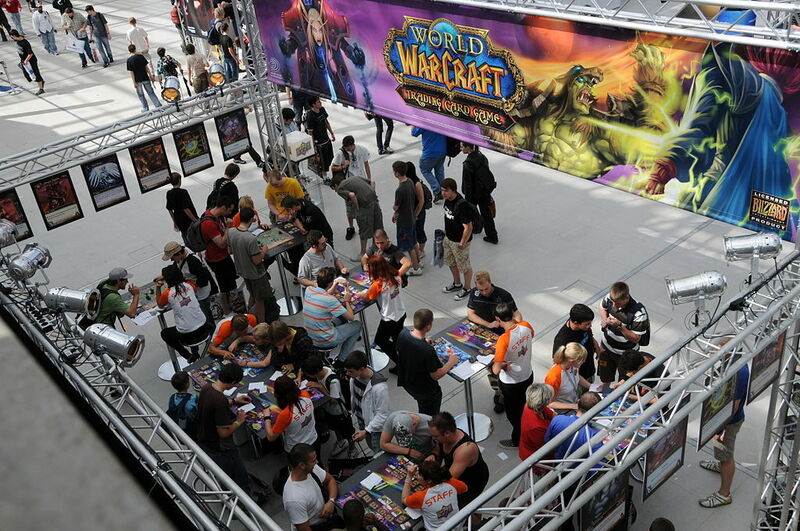 A thriving player community can lead to unintended consequences for WoW’s copyright. There is a delicate balance between protecting copyright and allowing the community to grow and express itself.